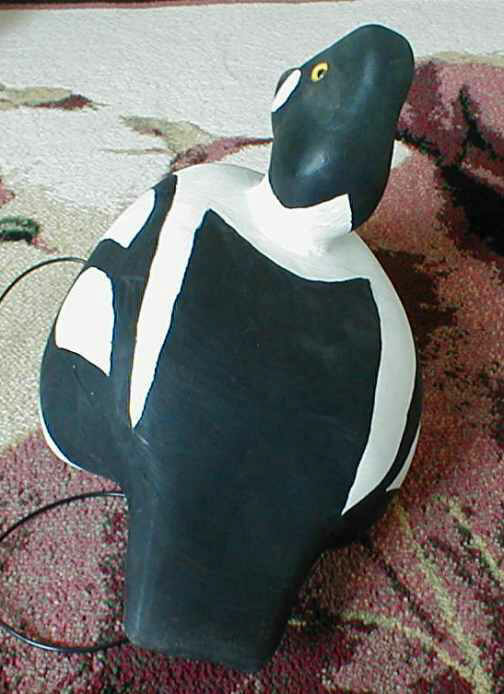 I get quite few requests for Antique Style Decoys. 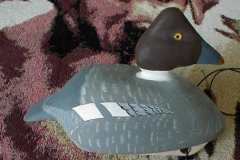 Most of the decoys I carve are contemporary styling. 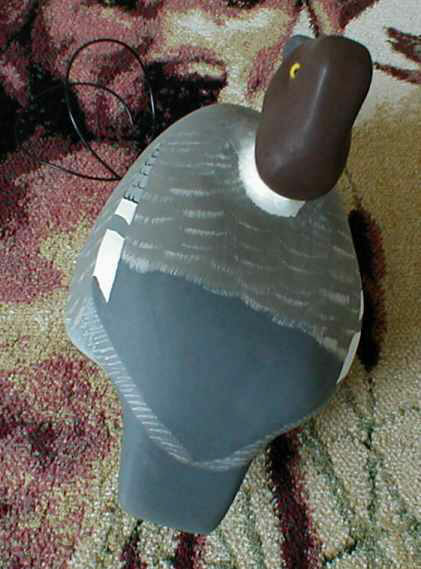 My patterns are based on the type of patterns that are winning decoy contests now. 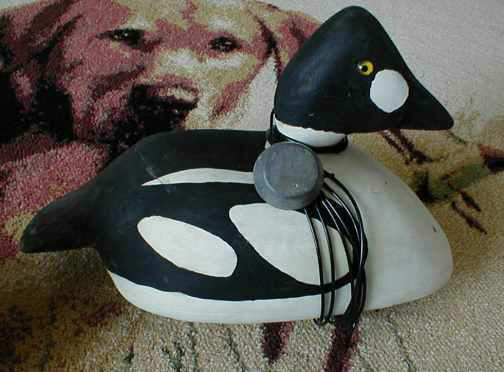 I do however favor the older style decoy. 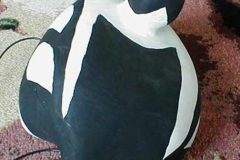 This is evidenced by the MCN canvasbacks that I carve, sell and love. First off is the style of Noah Sterling,a Crisfield MD contemporary of the Ward Brothers. 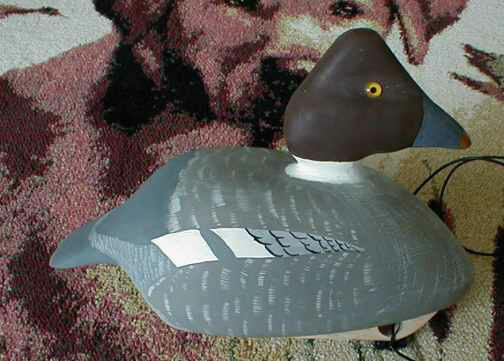 Originally introduced to me by Mr Richard Smoker in Decoy Magazine. I am reminded of the Redheads that Max Neumann gave me from his rig used at Fish Point on Saginaw Bay. 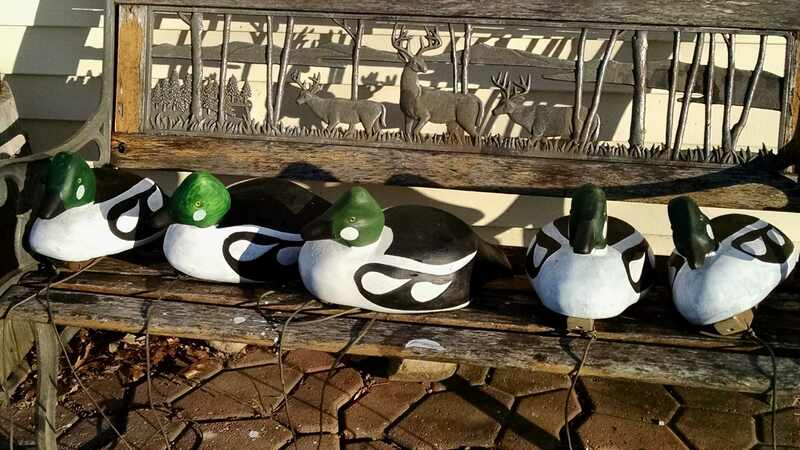 These are all hollowed cedar with cedar heads and are self-righting. 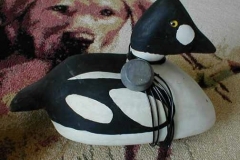 They really float on the water well. 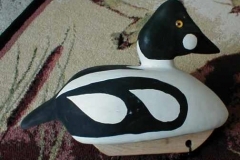 Drop me an email if you are interested in acquiring some of this style Goldeneye’s.